The National Executive is the governing body of our union. It oversees the budget, makes day-to-day decisions about union policy, confirms the union’s strategic plan, and approves the Annual Report and accounts in Conference off-years. 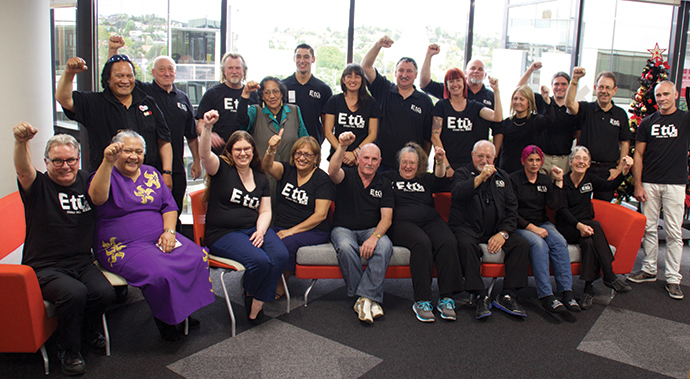 The National Executive has two presidents – one Maori and one non-Maori. Currently our Presidents are Don Pryde and Muriel Tunoho. There is a strong commitment to diverse representation on the National Executive, which includes representatives from each of our eight industries, North and South Island Vice Presidents, Regional Representatives, and a representative from Te Runanga, our Women’s Committee, Komiti Pasifika, and the Youth Network. Every voting member of the National Executive is elected by the union members they represent.